• Three exercise types: written exercises, multiple choice exercises and flashcard exercises. 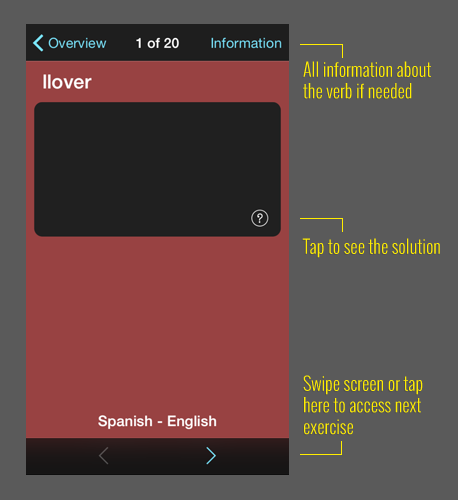 • Total control over the progression of the exercise, via an overview window that is accessible at all times. • Statistics generator inside the overview window. 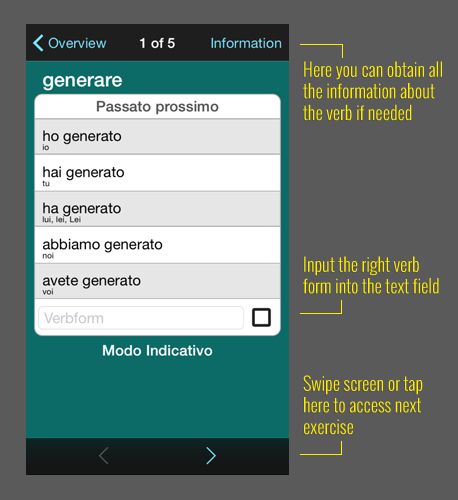 • Direct access from the exercises to all the verb information so you can check it. 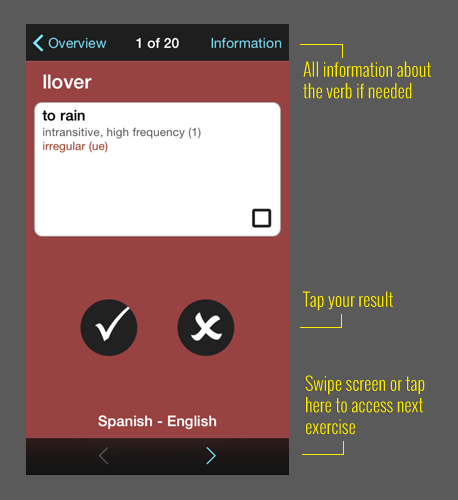 Written Exercises enable you to practice the conjugations and the definition of verbs. These exercises are customizable according to your requirements; among other things, you can determine the tense and grammatical mood you want to practice. 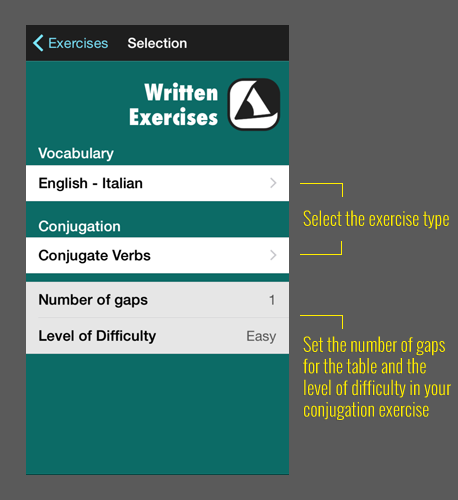 Conjugation exercises are programmed to present you with questions entailing irregular forms far more often than regular forms. Multiple Choice Exercises provided to help you practice and learn the meanings of verbs and the type of irregularities they possess. 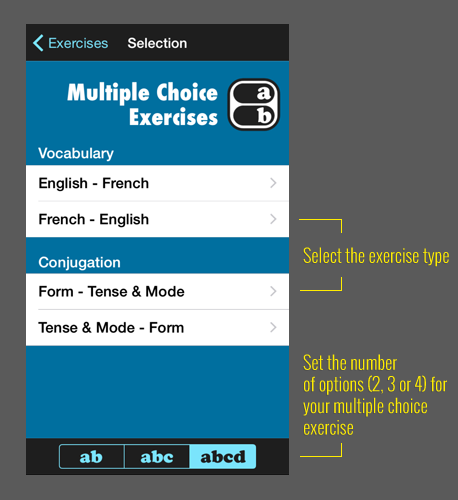 You can modify exercises to consist of two, three or four multiple choice questions. 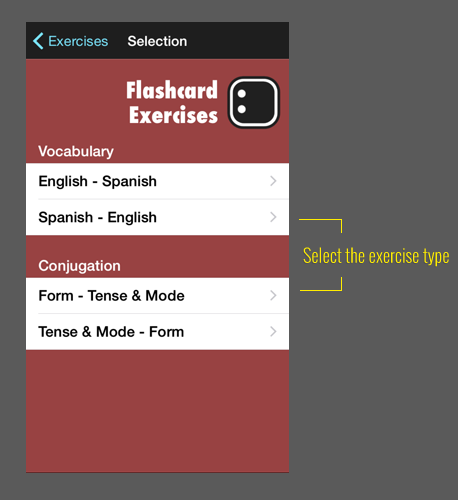 Flashcards Exercises help you learn the definitions of verbs and the type of irregularities they have.